New version (5.7) of the eWeather HD for Android released. • World map with weather alerts, weather, earthquakes and local time. • Has a built-in barometer. A diagram is displayed which shows the atmospheric pressure changes for the past 24 hours. A red warning display is produced when the barometer detects changes more than 0.2 inhg. 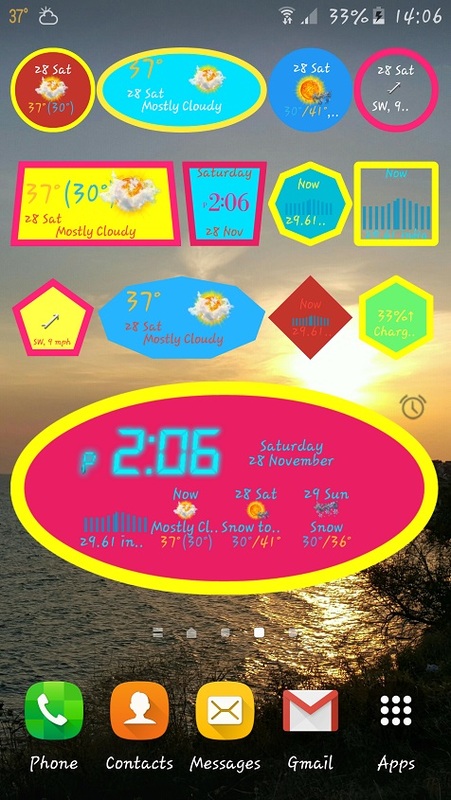 The most unique feature in this application is the “Weather Clock”. It provides all of the previous information in an hour-by-hour clock format and is very interactive, informative and fun to use. Check it out!